It’s interesting that I’ve never been even remotely involved in anything political, and in all such situations would always be the outsider looking in. However, in late February a protest was held at the massive tent outside Kresge that was the venue of the College of Computing celebrations, a poster reading “Celebrating Complicity with a Billionaire and War Criminal,” appeared on the windows of my usual second-floor study spot at the Students’ Center, and my curiosity was piqued. Late last semester, MIT announced the founding of the new Stephen A. Schwarzman College of Computing, aimed at interweaving disciplines offered at the Institute with computing and artificial intelligence on a broader scale. In the college’s FAQ document, the Administration acknowledged that advances in computing and AI have power to alter societal ethics, and stated that the College of Computing would not only be concerned with advancing computing, but also with teaching and researching relevant computing ethics and policy. However, students have raised concerns about the nature of MIT’s relationship with prominent personalities and foreign government authorities, and the effects that such public relations have on the ethics of the Institute. One rigorously publicized teach-in, ‘AI Can’t Fix This’, organized by MIT Students Against War Initiative, the Prison Education Initiative, Queer West, the MIT Prison Divestment Campaign, the Black Student Union, and Palestine @ MIT, was held to address the ethical implications of research done at MIT. The Tech has published numerous articles criticizing MIT’s ties to Saudi Arabia, demonstrated by MIT hosting a Saudi-US innovation forum and a widely-publicized handshake (with my oblivious dorm in the background). The innovation forum was held with all sorts of good intentions, to work together and find opportunities for both countries to benefit from the partnership. But soon after, a journalist was murdered and the administration came under sharp criticism for collaborating with a regime that allegedly targeted and murdered civilians, oppressed women and executed members of the LGBTQ community. 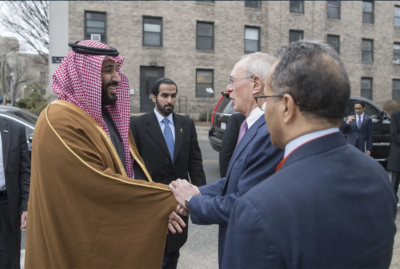 In a charged letter to President Reif, graduate students in the Political Science department expressed their growing concerns about the message MIT sends by publicly courting government regimes that condone human rights violations. The steps that they would suggest for the Admin to revert the current situation or to avoid such situations in future. University funding (sources and investments): Quite simply, I think that the Institute needs to do a better job of being transparent and democratic in its decision-making. When large sums of money are donated or significant reorganization is taking place, the MIT community needs to be involved. In many cases, donors of large sums of money have significant visions for what their money is buying, even when they do not have any say in how it is used. This goes for Stephen Schwarzman, the Koch brothers, foreign donors, and anybody else. Schwarzman is the CEO of the Blackstone group, which is problematic to say the least. We need to at least have a more nuanced discussion about decisions as big as accepting $350 million and naming a new school. The school’s massive endowment is a similar issue: it is unclear where the money goes and what it is invested in. There is no transparency. It is crucial that the school be clear of how the money is being used and the community ought to have some say in it. College of Computing mission: Two issues to mention here. First, as the panel on AI covered, we need to be very clear about what the mission is here. MIT has a long history of supporting this US’ problematic imperial history, particularly by designing technology tailored to its needs. To accentuate this point, they invited problematic political figures like Henry Kissinger (whose destructive foreign policy was pointed out to the administration, including President Reif, who ignored our concerns and asked us to “look past” his history) as well as Ash Carter. The discussions about AI and its influence on our society needs to be centered as this college proceeds. Second, and only somewhat related, the school lacks a coherent strategy to address issues related to diversity, equity, and inclusion (DEI). This lack of coherence will certainly carry over into the creation of the College of Computing. Even though a new school provides a fantastic opportunity to rectify some of these issues and even be a model for other institutes and universities with regards to diversity, equity, and inclusion, we are not confident the school will be able to do so without a concrete strategy. To this end, some graduate students are organizing requests of the administration around DEI issues. The opening of the College of Computing promises to have significant impacts at MIT and beyond. 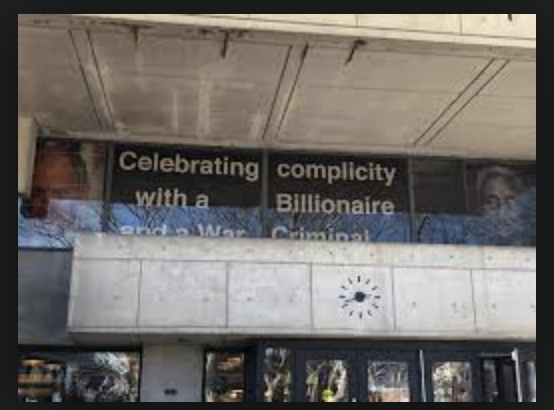 This is why so many in the MIT community found it unacceptable to see figures like Henry Kissinger featured at the college’s opening celebration to speak as an authority on the future of computing, given his record of human rights violations. MIT’s growth should not be based on the expansion of technological systems that disproportionately oppress marginalized groups in society, such as the military and prisons. Hundreds of students, faculty, and staff gathered the week of the college’s opening for a teach-in and rally because we know MIT can do better. At the “AI Can’t Fix This” teach-in, organized by students representing many different departments across campus, we put forward alternative possibilities. “AI Can’t Fix This” is a call to action. 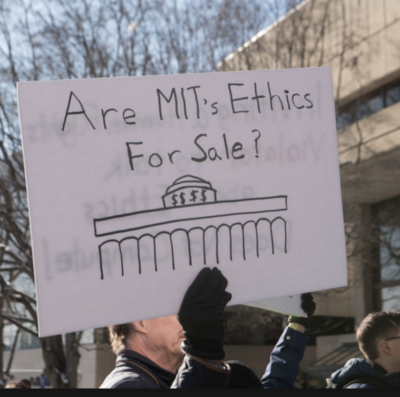 We are calling for more transparency around the funding of research at MIT—it is contradictory to pursue ethics initiatives around AI if we don’t also fully understand whether or not MIT profits from unethical funding sources. We also call upon MIT to commit to organizing the College of Computing to support interdisciplinary research. More than ever, we need to understand how science, technology, and society are connected. Technology has the potential to contribute to great harm: climate change, mass incarceration, increasing economic inequality, increasing surveillance, and military interventions. MIT needs to invest in research and action that can take on these complex issues and contribute to a safer, healthier, more just world. After all these riveting takes, I sat back and thought of what MIT means, not only to me as a current student being shaped by the Institute’s ideals, but also to the rest of society that holds the Institute in such high esteem. MIT, and colleges in general, have time and again shown that education really can bridge divides and steer society into a more prosperous direction, and are seen by many as the remedy to so many of society’s pervasive plagues, such as war, poverty, and sickness. 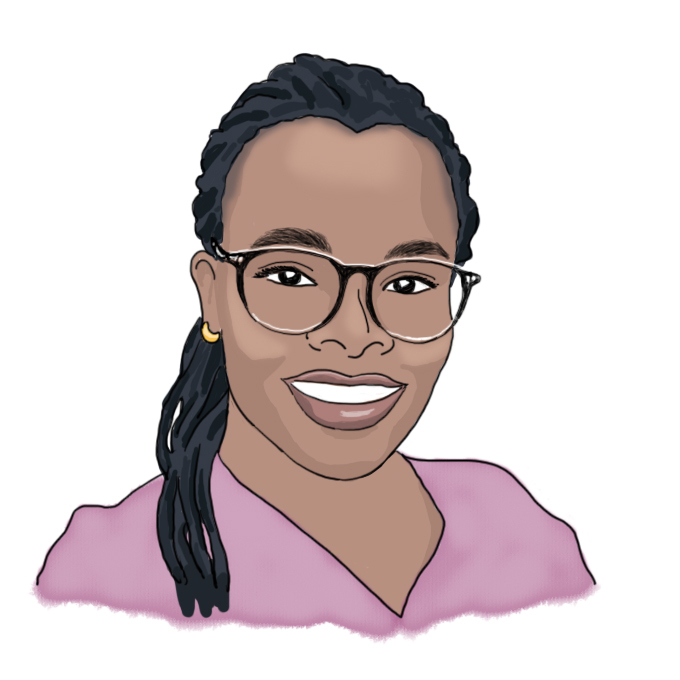 I especially resonate with an article published in The Tech that talked about the role that colleges played in encouraging the abolishment of apartheid in colonial South Africa. Given the stakes, surely MIT must not waver in its mission to make the world a better place, no matter the cost. Right isn’t only right ‘sometimes’ and wrong doesn’t become right ‘under some conditions.’ There is much to be said about the role of MIT in setting standards on what is acceptable and what is simply not, given the fact that it is one of the greatest science and engineering institutions worldwide. I’m glad that going forward, the Administration has dedicated a group to discuss the social implications and responsibilities of computing, and I hope that they continue to build the conversation around what defining and upholding a strong ethical fabric means for the Institute. Our ethics must stay impeccable now more than ever before- the world is watching.